Embossing involves raising parts of a sheet of paper to emphasize certain parts of a design such as the title. Debossing is the opposite, where part of the sheet is lowered to give a ‘sunken-in’ look. Embossing is accomplished by creating a custom die carved with the image to be embossed. The die is then pressed against the sheet of paper in a machine and the raised areas of the die push the paper away, creating the raised effect. 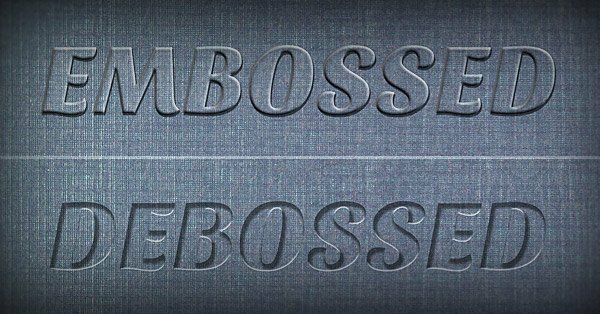 Basic embossing or debossing includes a simple single-level emboss. A more complex version could include large, multi-level, beveled, or sculptural embossing.